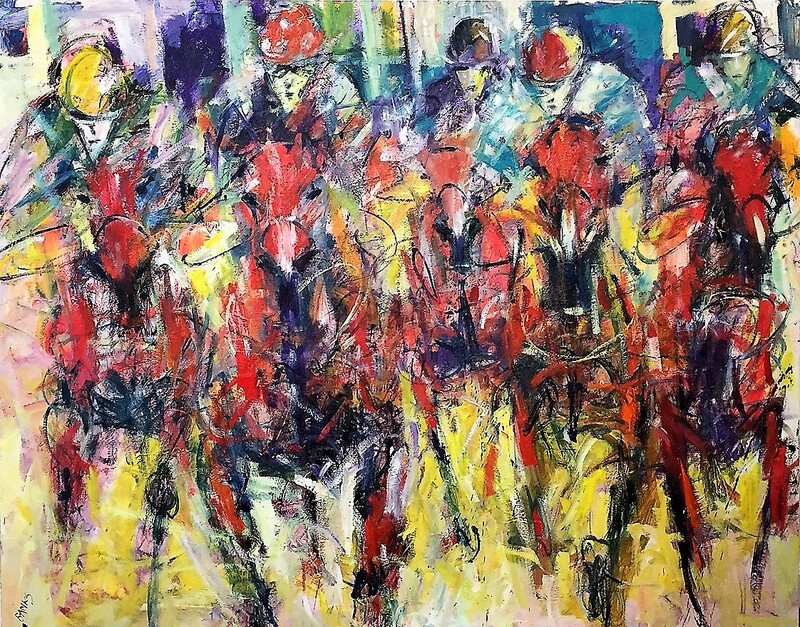 Alasdair studied fine art at Edinburgh College of Art. 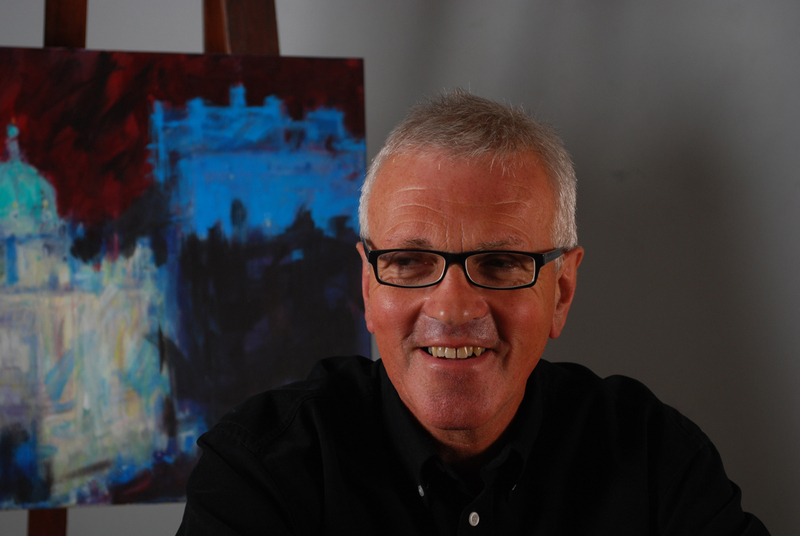 On graduating he embarked on a long career in local authority arts management, teaching art and curating exhibitions. 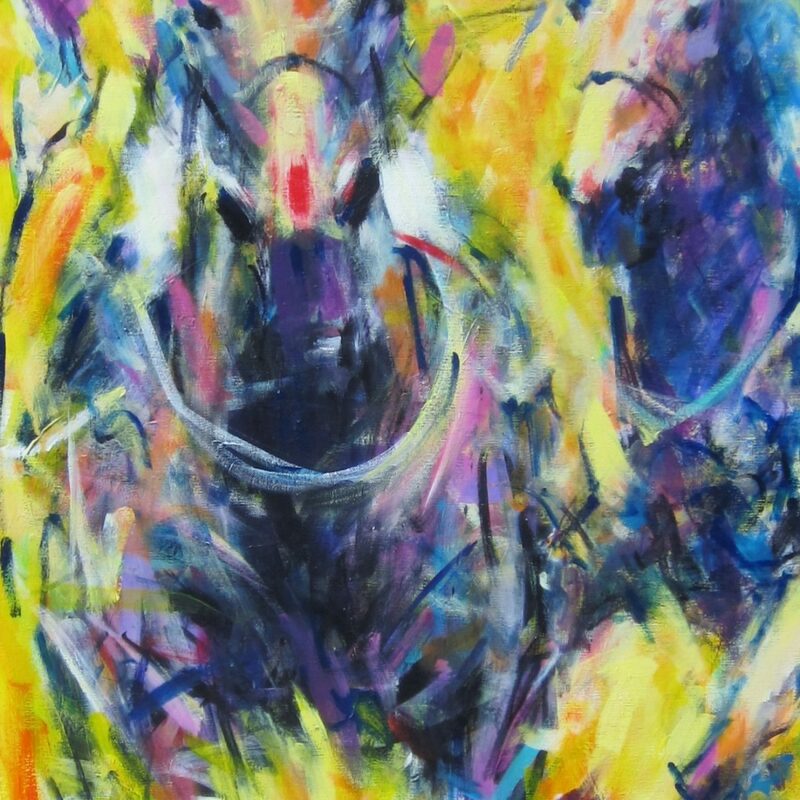 During this time he perfected his artistic skills by producing work in the area of sporting art, particularly equine art. 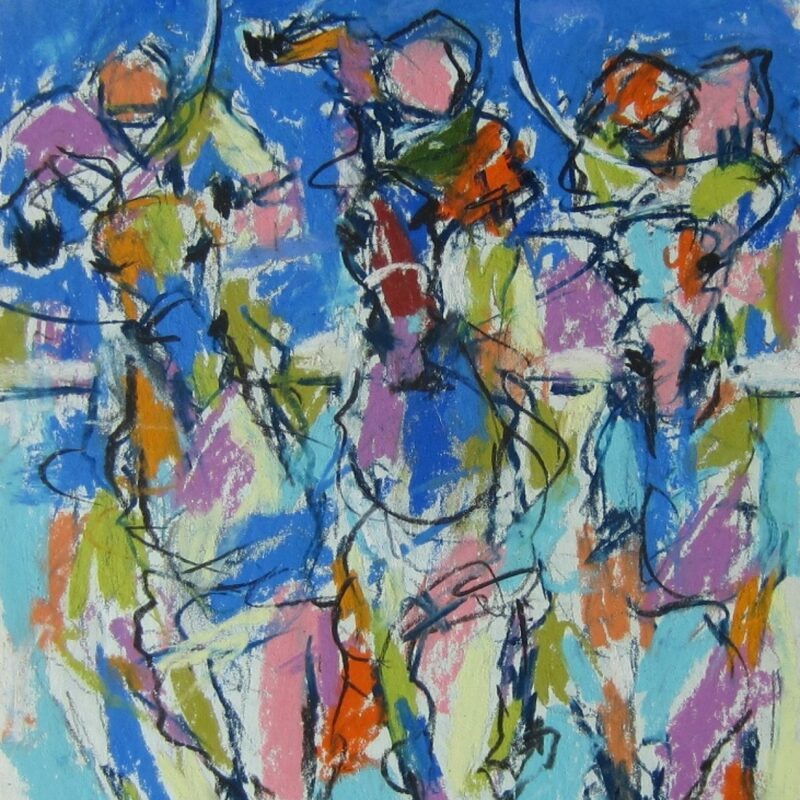 This area has traditionally been dominated by artists who, in the main, based their methodology on photographic references. 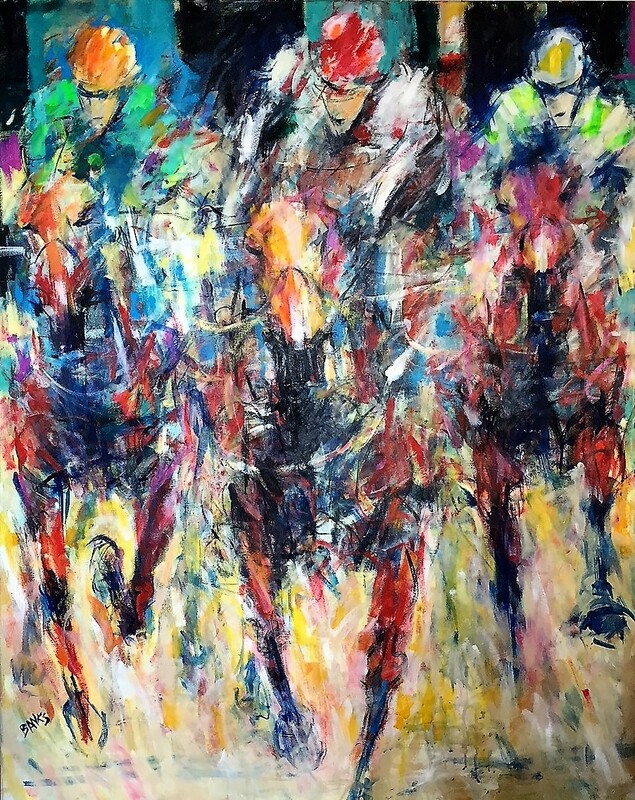 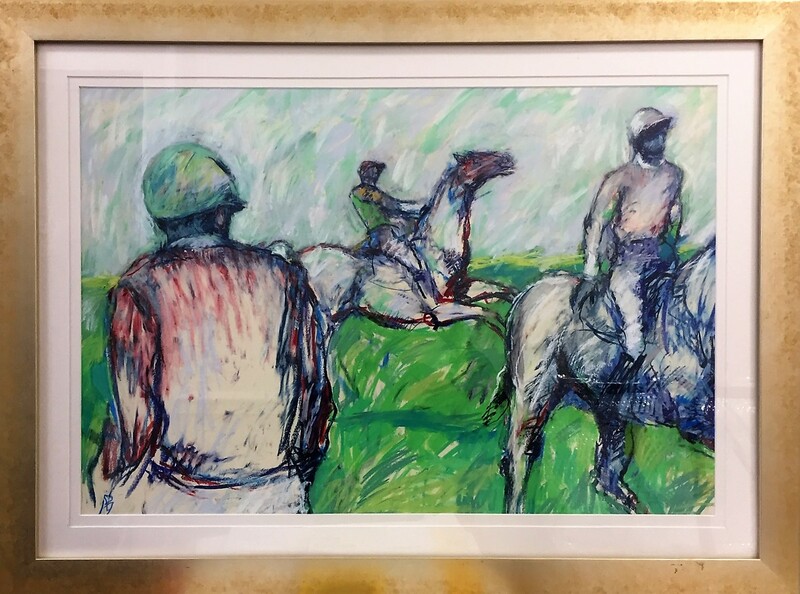 Alasdair wanted to replace such static photographic realism with an expressionist style to reflect the speed and energy represented by the sporting horse in action, his influences being the impressionist Degas and expressionist Kirchner. 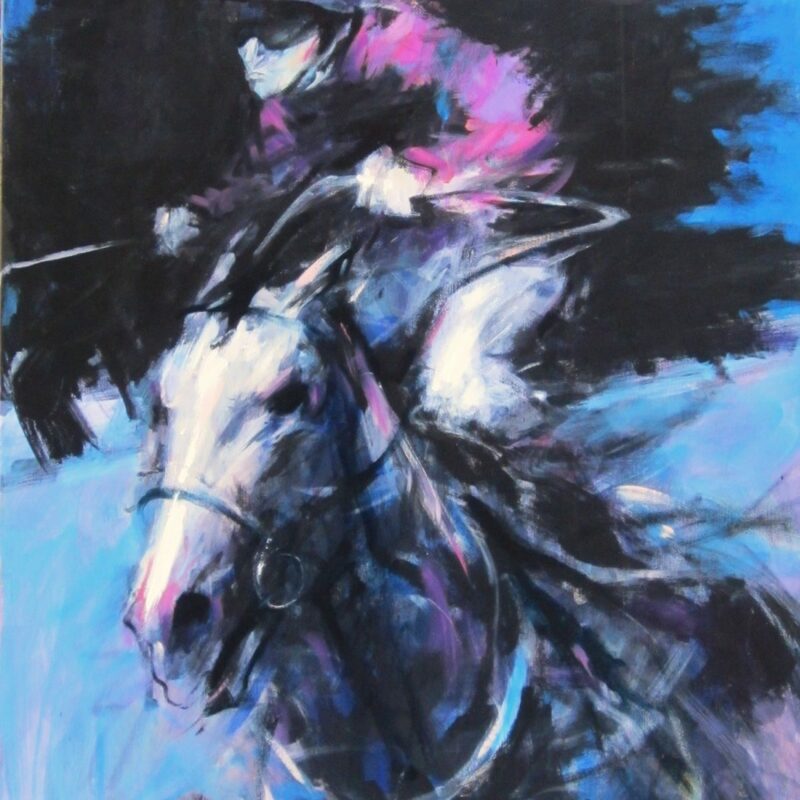 In 2000 Alasdair began showing his work at major equestrian events around the UK. 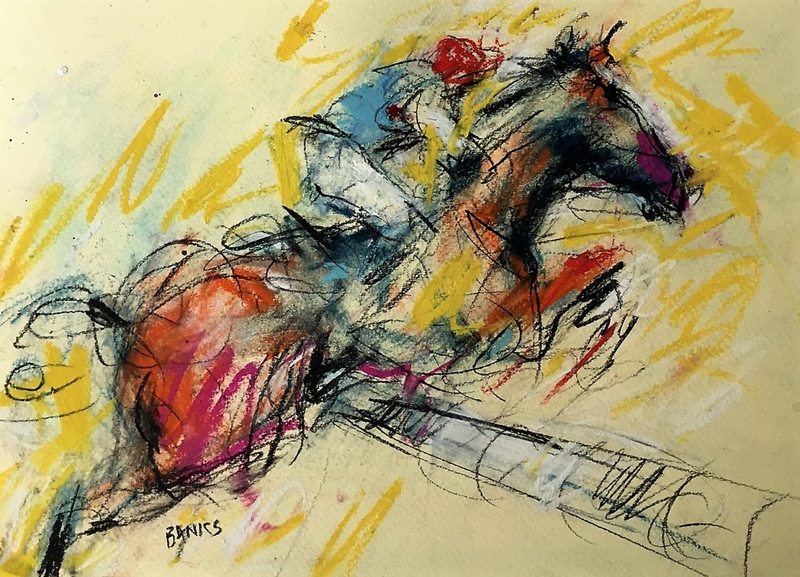 The popularity of his early work in pastels and charcoal resulted in invitations to become Artist in Residence at Blair Castle and later at the Horse of the Year Show at Olympia. 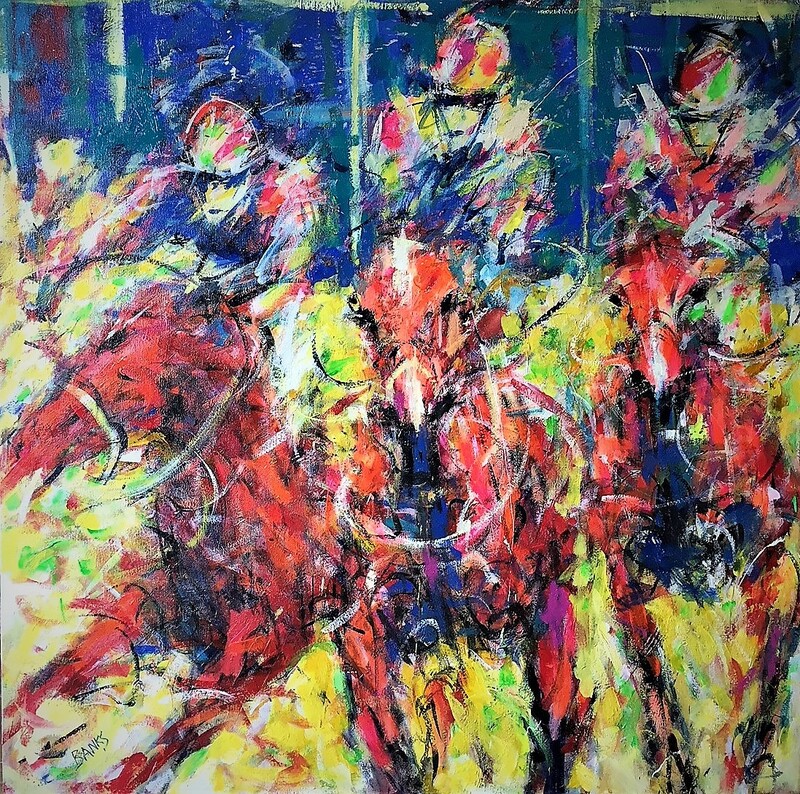 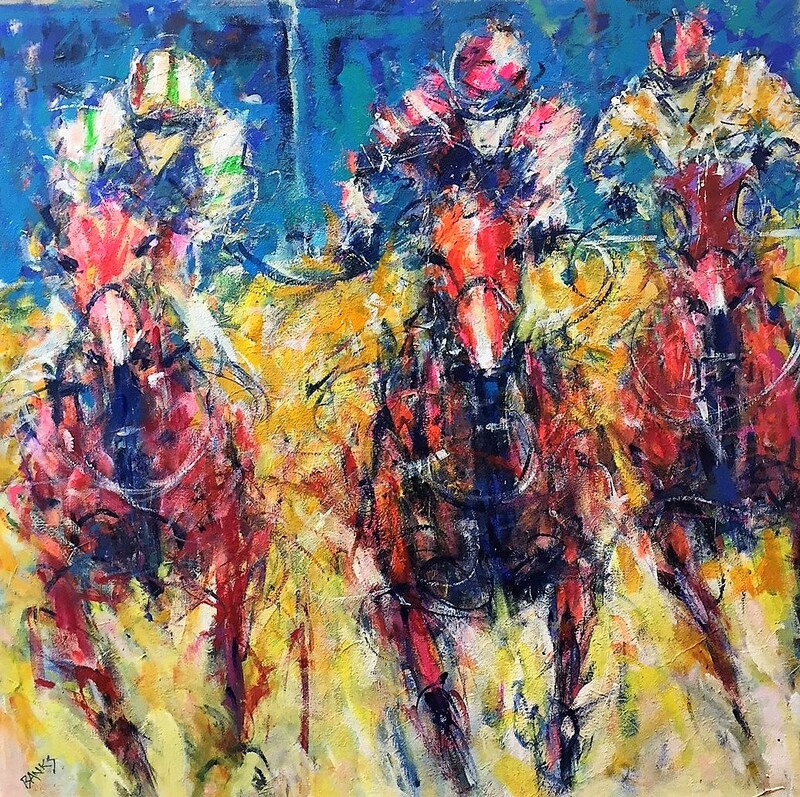 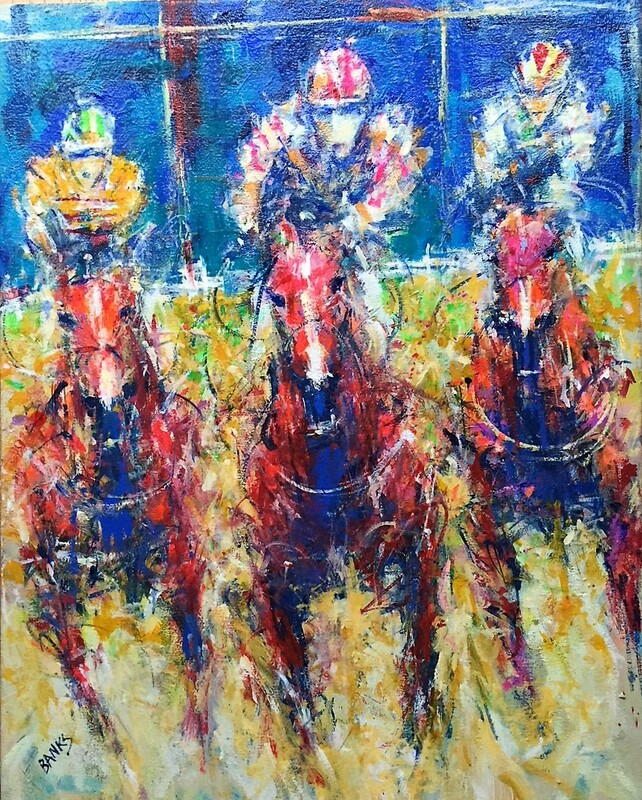 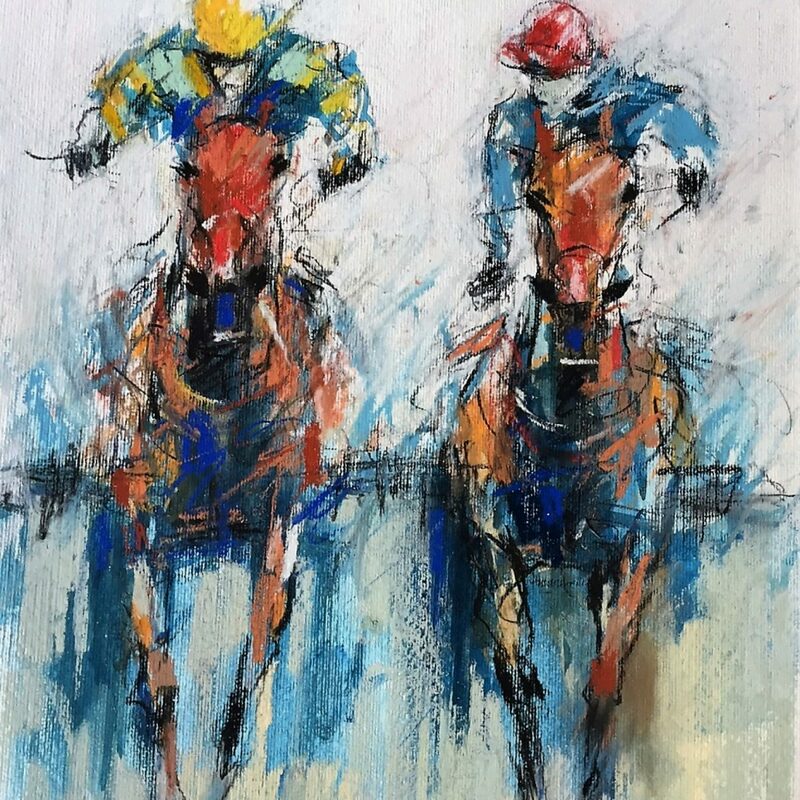 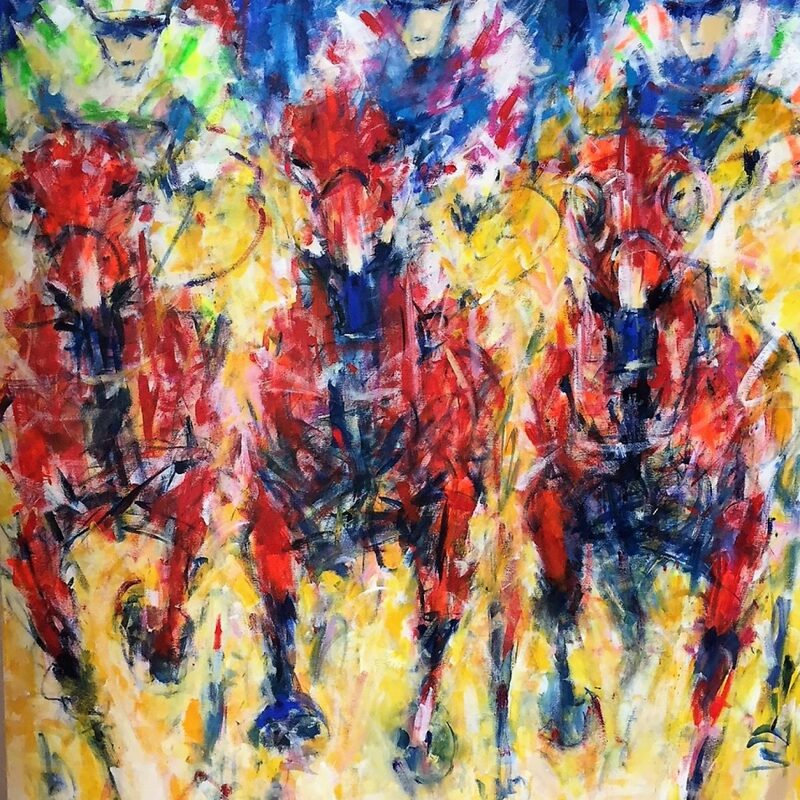 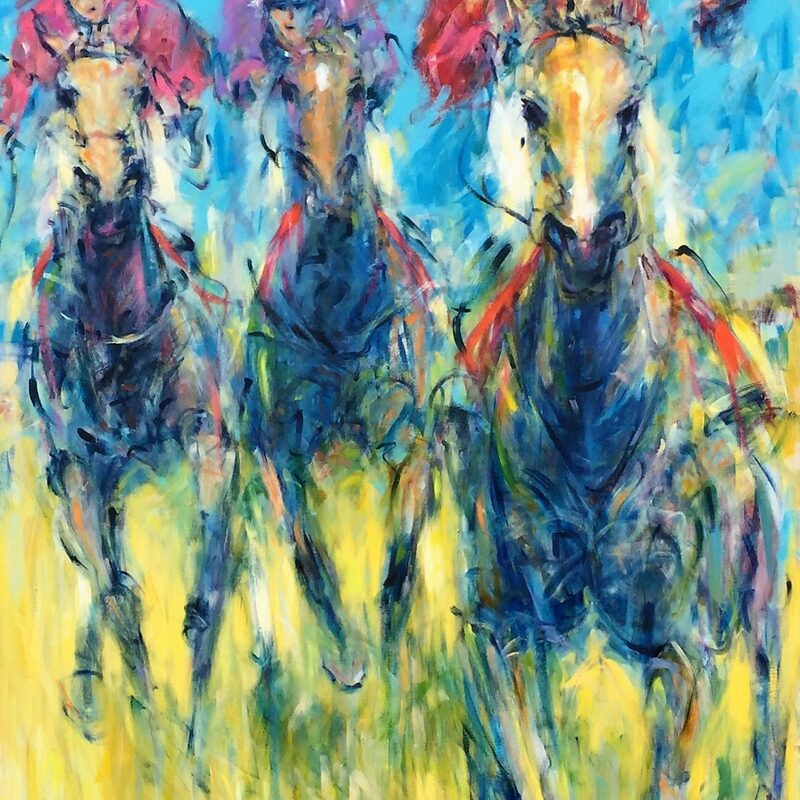 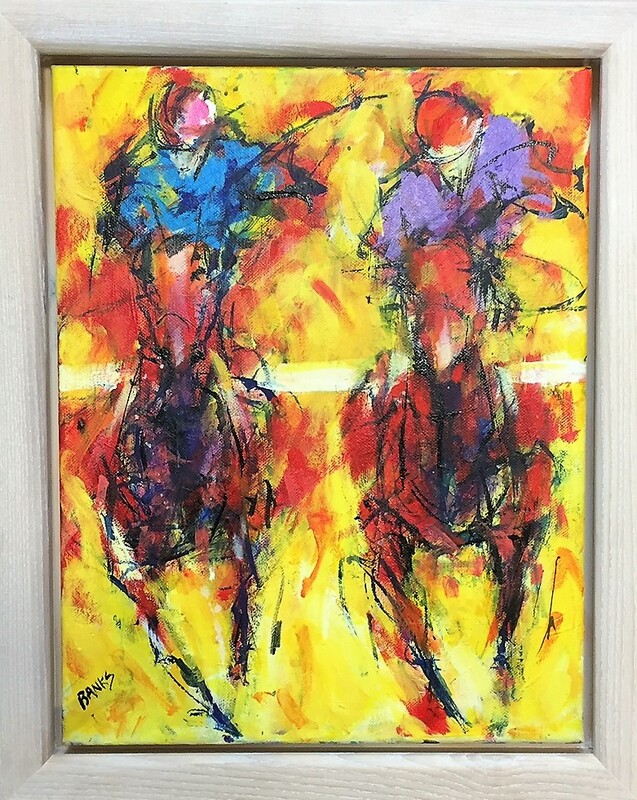 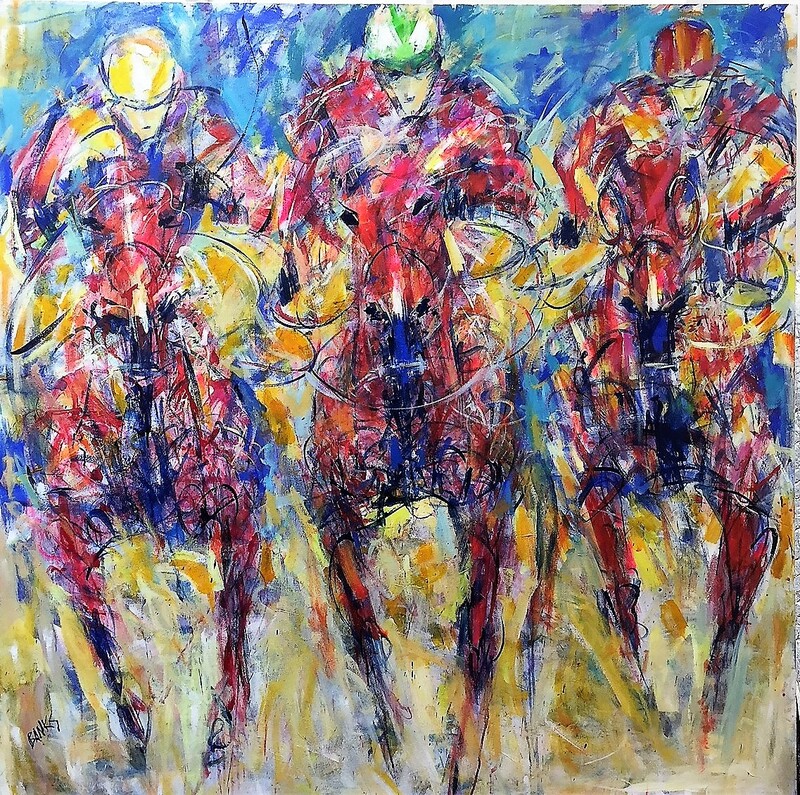 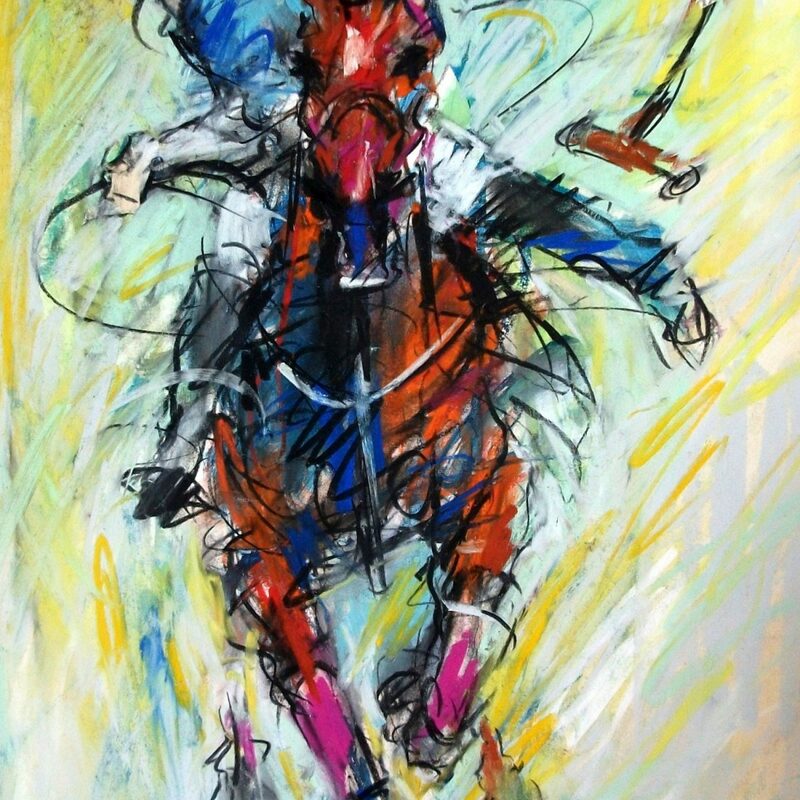 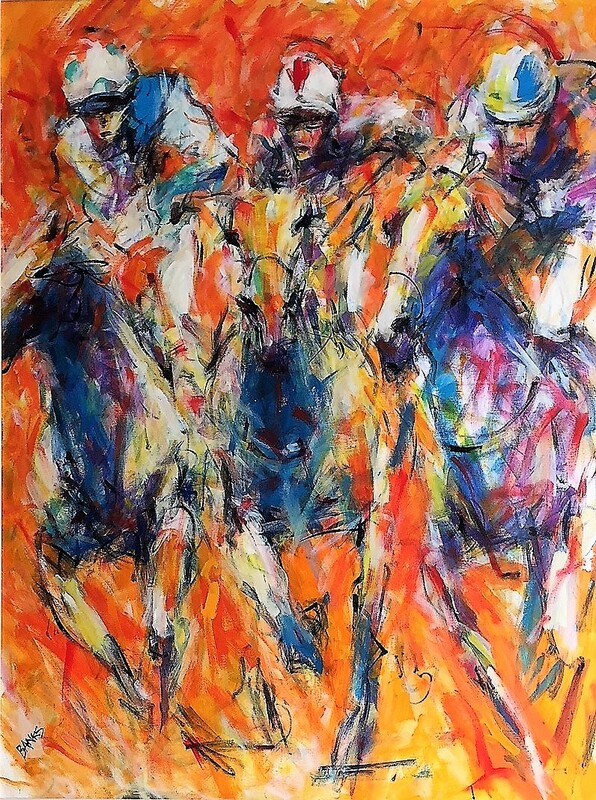 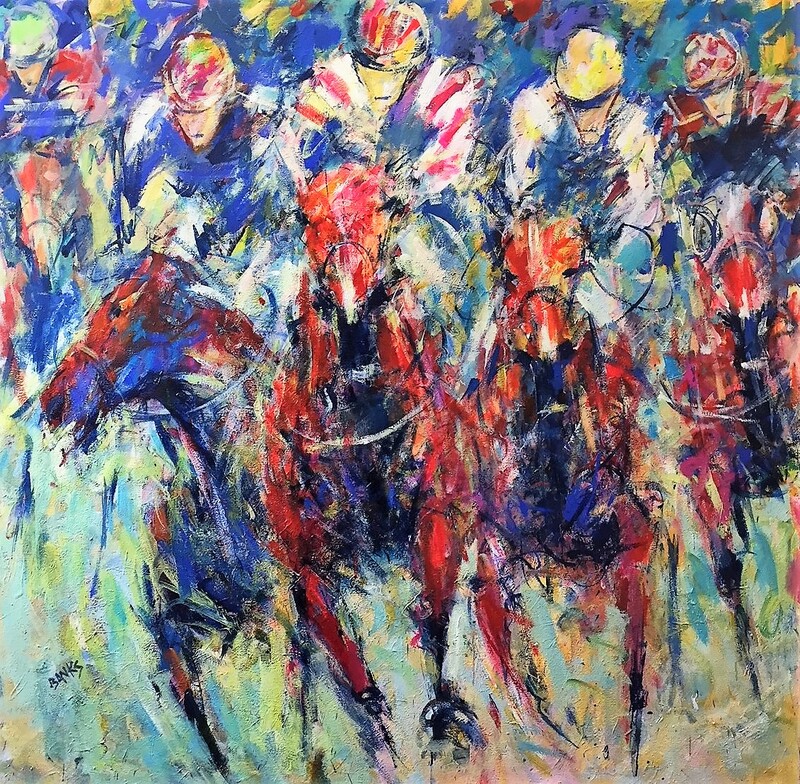 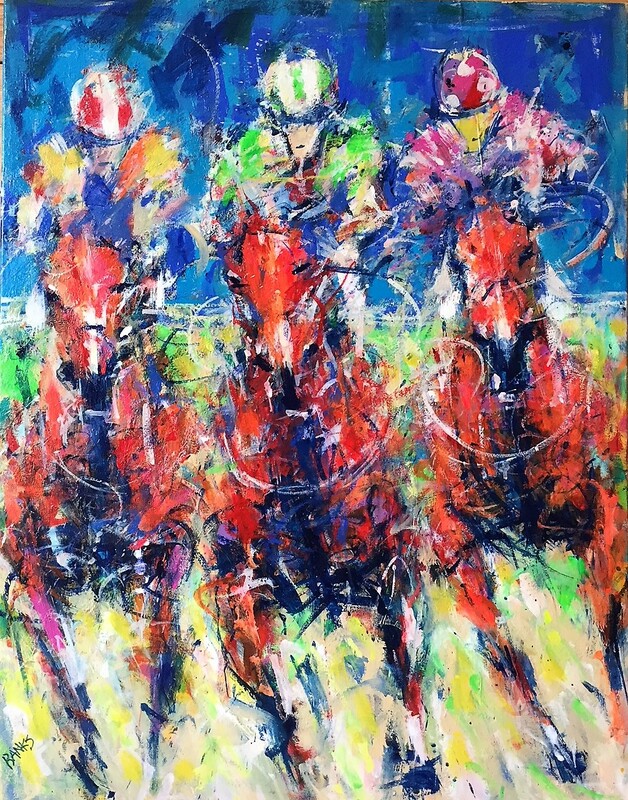 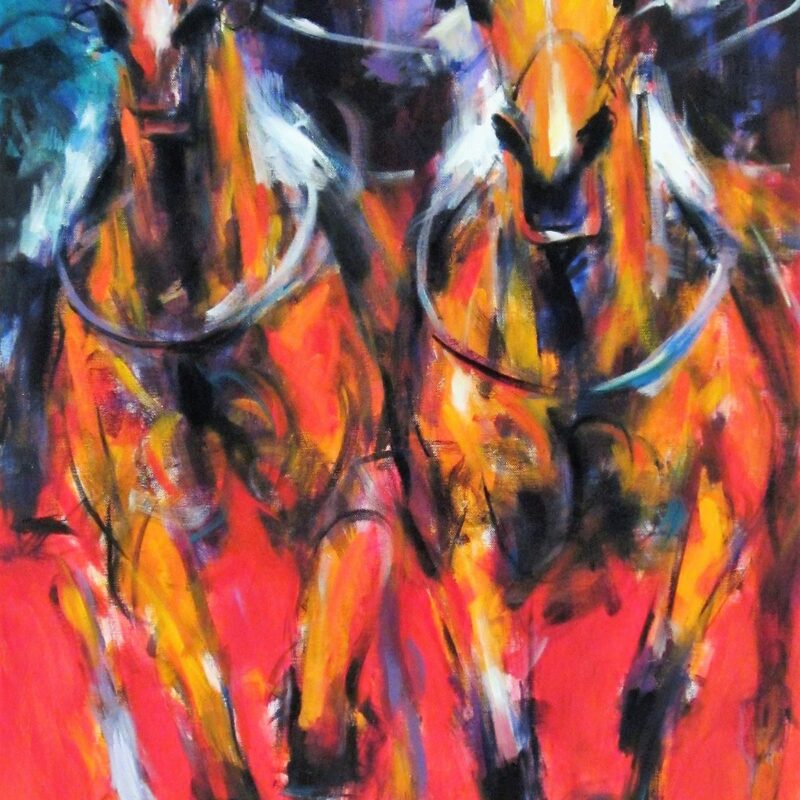 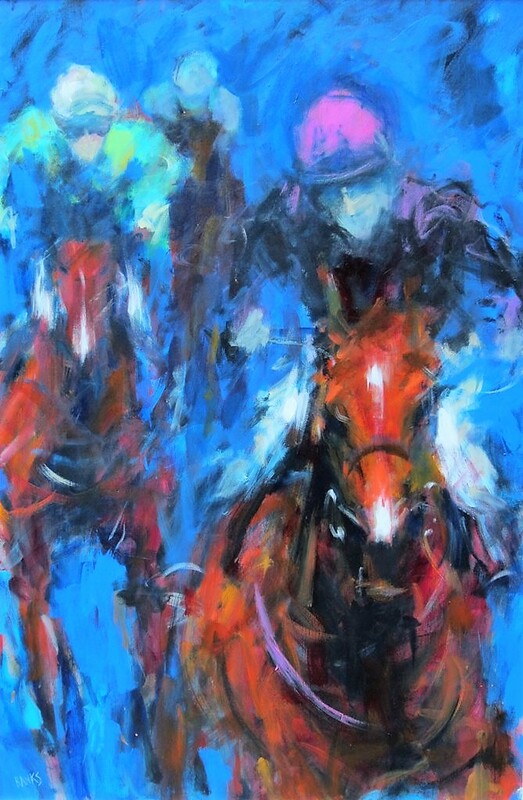 In 2002 Equestrian Art Ltd. began representing the artist, and such was the impact of Alasdair’s work in exhibitions at major sporting venues in the UK and abroad that he has acquired a loyal and growing band of collectors. 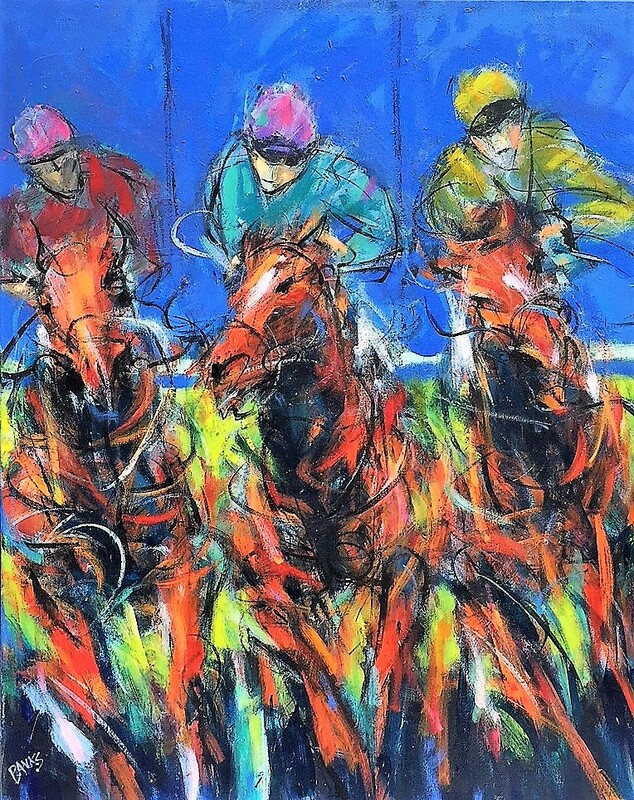 In 2008 Alasdair added works based on oil and canvas to his repertoire of pastels and ceramic sculptures. 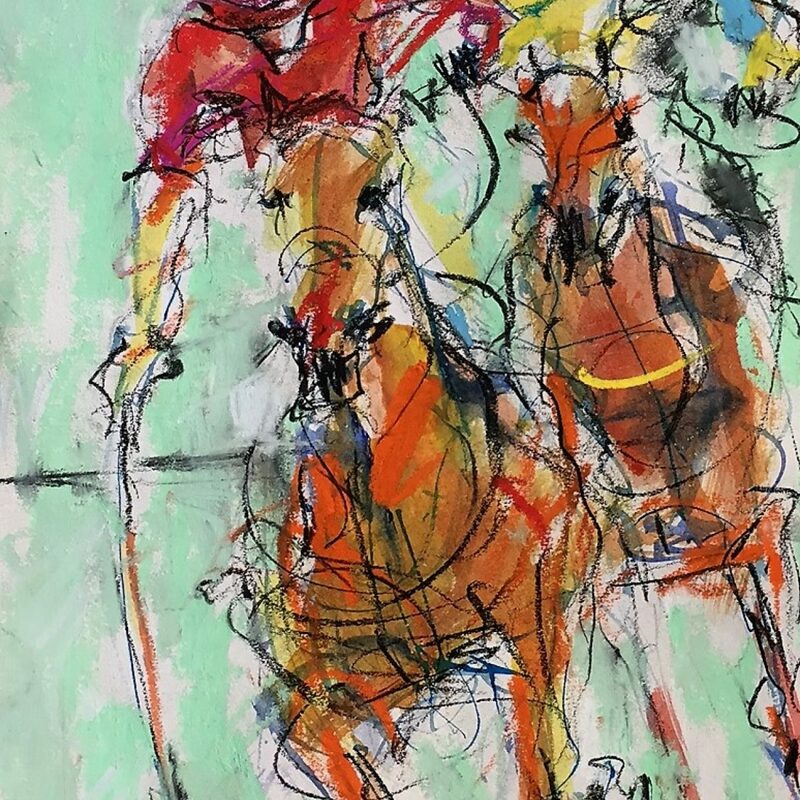 In 2012, Lloyds Bank a major sponsor of the London Olympics appointed Alasdair as one of the official artists of the Games covering the equestrian events which culminated in an exhibition of his work in Greenwich.